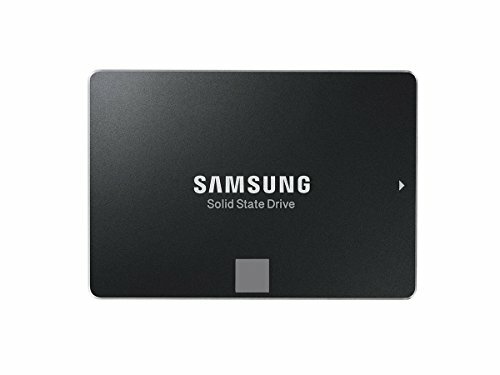 Why Choose a Samsung 850 EVO SSD. The Samsung 850 EVO provides a noticeable performance increase. When it comes to upgrading your PC, there are many options available. From changing your graphics card, inserting more RAM right through to overclocking your processor. However, more frequently overlooked is the gains achieved with better storage, and more specifically the Samsung 850 EVO SSD, which by far is the most economical way to breathe new life into an aging PC. 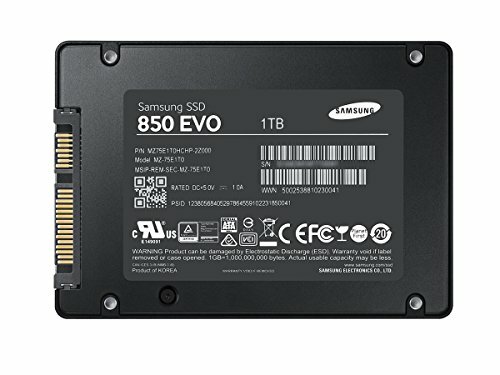 The benchmarks are fantastic and for quite a reasonable price and if you’ve decided to upgrade your hard drive already, then Samsung 850 EVO probably gives the best bang for your buck out of all the other SSD’s in it’s class. Those which are just making the transition from mechanical hard drives to SSD are going to get their mind blown when their PC wakes from sleep in under a second and boots up in under 10 seconds! Even those moving from lower quality first or second generation SSD’s who may be wondering if they will see performance gains should experience a noticeable increase in PC operation and multi-tasking performance. The Samsung 850 EVO SSD reads up to 540MB/s, writes at 520MB/s, while boasting random Read/Write IOPS Performance: Up to 98K and 90K respectively. It multi-tasks at incredible speeds, enhancing boot-up speed, application loading and overall gaming performance. You may experience significant and noticeable gains to gaming performance by using a Samsung EVO SSD. In fact, you’ll find that the Samsung 850 EVO SSD is almost a sure fire way to speed up game world transitions, loading screens and application boot up. Any situation where the game application, even if online, requests access to hard drive files is done quickly and seamlessly. This has some very tangible benefits to real world applications. For instance, you’re under time pressure to boot up your game and get online. This could be due to you having limited gameplay time, or perhaps you have buddies waiting for you online and you’re late for the multi-play session. Now if you play online you may scoff at the suggestion that a hard drive can get you online quicker, and you’ve probably invested in ultra fast internet services. But what if your PC is turned off…? Those with standard HDD’s often times need to wait up to 45 seconds just to see their desktop, this coupled with a sometimes unresponsive 10 second lag time where the mouse is able to be manipulated yet the PC remains sluggish and unresponsive to navigate. The frustration is tangible. Then add into that the actual game boot up time, where the game accesses the local installation files on your hard drive space. Even if you intend to play online where many of the files may be served over the internet the framework of the game is generally accessed from the hard drive and depending on the game the total loading time could be anywhere up to 2 minutes while this process happens. 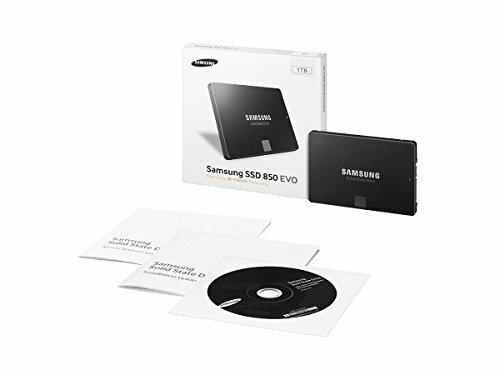 By upgrading to a Samsung 850 EVO Solid State Drive you can reduce your PC boot up speed to under 8 seconds, operating system lag time to under 1 second and game boot up (game dependent) to under 10 seconds. Meaning from pressing your computer on button to getting into game could be achieved in under 20 seconds! The slowest part of that process is likely going to be user based as you struggle to remember where that game icon resides on your crowded desktop. In all reality nobody should need convincing of the necessity of upgrading to a SSD, and many people already have made the switch and are enjoying some speed benefits, but in the earlier days the storage sizes available to early adopters were pitiful. It wasn’t uncommon to see SSD’s used only for windows installations or at the very most space for a single game that could be squeezed on to the partition alongside it. Meaning at best they were only getting an upgrade to one half of their PC setup. The rest being stored on sluggish HDD’s due to the top capacity being more accessible due to price. The Samsung 850 EVO SSD is certainly not the cheapest on the market, however in terms of bang for buck ratio it sits king as the Best – in – Slot SSD in it’s class. There are a number of storage options available worthy of mention is the preferred 1TB or future proof 2TB, while those unable to stretch their budget are able to opt for a modest but mighty 250GB option that serves well as an addition to a preexisting SSD. The Samsung 850 EVO SSD is more than an upgrade, it’s a complete transformation of your PC. It also comes bundled with a free download of Samsung Data Migration and Magician software. Which makes installation and SSD management really easy.